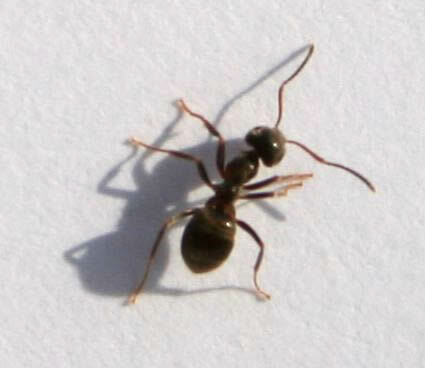 Black ant (Lasius niger), common in gardens. Only the queens and males have wings. Males die after mating. Size 3-9mm.